Moving Together examines contemporary dance from both a theoretical and a practical perspective, with interactions between the two. The author analyses three important tendencies in contemporary dance: "pure" dance, dance theatre, and (self-) reflexive dance. He proposes a theoretical, conceptual framework, and through extensive dialogues with choreographers he investigates how artistic cooperation results in dance. 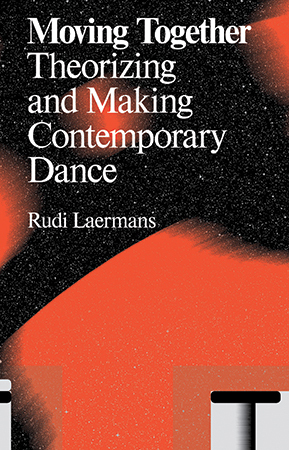 "Clearly written, meticulously researched and theoretically enriching, Rudi Laermans' first-hand accounts of key performances by some of the most influential names that have defined contemporary choreography since the mid-1980s make us see how crucial the Flemish dance scene has been for the development of contemporary experimental dance-and therefore, how it has also been a strong influence in those discourses that inform the reception and perception of international dance today. Absolutely essential." --André Lepecki, Associate Professor in Performance Studies, New York University. Rudi Laermans is Professor of Social Theory at the University of Leuven (Belgium) and a regular guest teacher at P.A.R.T.S., the Brussels-based international school for contemporary dance headed by Anne Teresa De Keersmaeker. As an academic, he has published widely in both national and international journals and books within the areas of social theory, cultural sociology and the sociology of the arts. Also active as a critic and essayist, he published numerous articles on contemporary dance and is one of the leading voices on, and partly also within, the Flemish dance field.